Would You Pay $150K To Look Like Kim Kardashian? 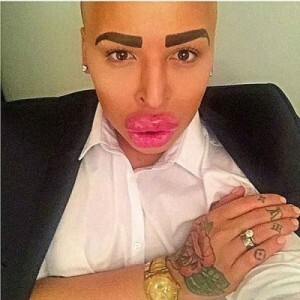 According to media stories that have gone viral, Jordan James Parke, a 23-year-old Brit and self-proclaimed ultimate Kim Kardashian super-fan has spent a small fortune in a bid to look like his idol. Jordan states he started following her when he was 19. “I love everything about Kim. She’s the most gorgeous woman ever. Her skin is perfect, her hair, everything about her,” he tells The Sun newspaper. Jordan says he fell in love with the E! star after watching an episode of Keeping Up With The Kardashians. “I love Kim so much. I was brought up by my mom and my nan so I’ve always admired really strong women,” he explains on the UK show This Morning. He also loves Mariah Carey and Katie Price but says Kim is his ultimate idol. 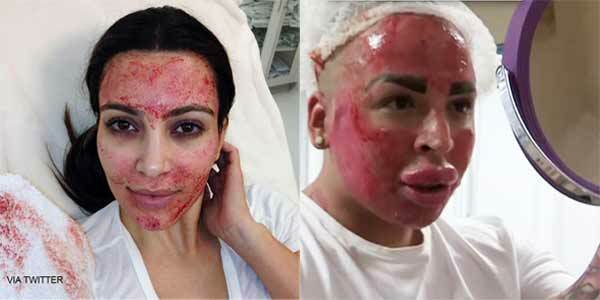 Jordan receives regular Platelet Rich Plasma injections. 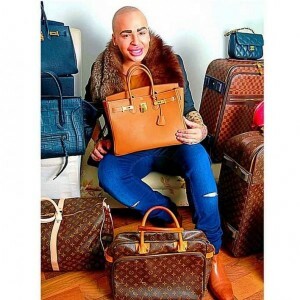 Earlier stories chronicling his many procedures claimed Jordan’s life was consumed by his dream to look like the reality show mega-star and that he had spent over $150K to surgically make his dream come true. He apparently went as far as to build a wardrobe and accessory collection that mirrors the Kardashian look. 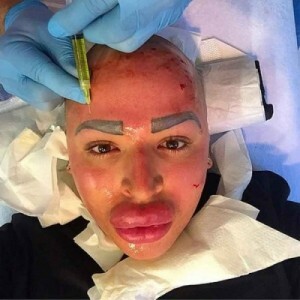 Jordan proudly states that he has undergone as many as 50 procedures including lip-plumping, Botox, cheek filler, chin filler, having his eyebrows tattooed, microdermabrasion, laser hair removal, and of course, the PRP Therapy. Jordan clearly has a physical aesthetic he is striving towards and is willing to go to great lengths and costs to achieve it. But let’s hope he’s putting as much thought, effort, and energy into other aspects of his life that will encourage positive personal development and growth. Jordan, if you’re reading this: There’s no better Kim than Kim, and no better you than you!